Algae used as a building material is a much-required innovation in modern-day construction where our planet is fast running out of renewable energy. 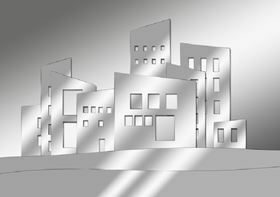 Zero-energy buildings are designed with the aim of being powered by renewable sources such as solar and wind energy. In the past, solar cells and wind turbines have been considered to be the norm when it comes to zero-energy buildings, but now algae is entering the arena and bringing with it a breath of fresh air. In Australia, at the recently held Sustainable Built Environment 2016: International High-Performance Built Environment Conference, academics and researchers gathered to discuss ways to make construction more sustainable. During this conference, one session focused specifically on the topic of sustainable architectural building materials. During this discussion a potentially revolutionary building material was brought up: Algae. Sara Wilkinson, a professor of the Built Environment, presented her findings along with marine biologist Peter Ralph and architect Paul Stoller. The trio has been studying ways to use algae on the facades of buildings as a source of energy and also as a means of providing shade to buildings. They got the idea after seeing construction giant Arup design a similar project in Hamburg. The building in Hamburg, called the Bio Intelligent Quotient House (BIQ), contains 15 apartments and has 129 algae filled louvered tanks hanging on its exterior, on the south-east and south-west part of the building. This building is the first in the world to be powered exclusively by algae and has been constructed by Arup along with SSC Strategic Science Consultants and Splitterwerk Architects. This project is a great example of how algae can be used to heat and cool large buildings. Sara Wilkinson says the aim is to integrate the algae into the built environment and use it to heat buildings, fertilize rooftop gardens and even filter vehicle exhaust fumes. Wilkinson believed the future of sustainable building technology lies in embracing the concept of a building that is powered by algae. Algae is a sustainable material that can be used to make almost anything, plastic, food, paints, carpet, cosmetics and pharmaceuticals, according to Peter Ralph, who also says that out of almost 300,000 species of algae in the environment, we are currently only culturing about 100. The algae was retrieved from the Elbe River and then placed in large, thin, rectangular cases. The algae lived inside these clear cases in a water solution and were provided with nutrients and carbon dioxide using an automated system. Next, each tank was fixed to the outside walls of the building, onto the scaffolding, thereby allowing the tanks to be turned towards the sun. This is a similar technology that is used by solar collectors. During the summer months, the algae grows rapidly and tend to provide greater shade for the building, helping to keep temperatures down. Any excess built up heat that is collected in the water tanks is transferred to saline water tanks that are placed underneath the building for use at a later point in time. 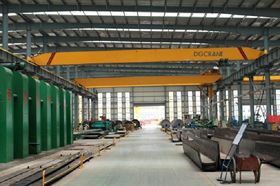 The most efficient ways in which to integrate algae in a new construction must be decided in conjunction with the engineers, designers, architects and of course, the overhead crane manufacturer. The design and construction of BIQ have taken approximately 3 years and has cost almost 5 million Euros. This is one of 16 projects that have been taken over by the International Bauausstellung (IBA), an organization that aims to provide cost effective ways of making bio-friendly buildings. These buildings are the first of their kind and will be studied by architects and engineers from around the world to determine their design’s feasibility. They could also be used as a prototype for sustainable buildings in the future. Wilkinson and her colleagues interviewed 20 stakeholders in the building industry including engineers, architects, developers and designers to see what challenges stand in the way of algae being used in future development projects. Some of the architects said they have spent most of their careers creating design facades that aim to avoid anything growing on them or even having water flowing through the front of a building. This brings to light a potential problem that a building with an algae-front would pose. It is important that the materials used in the construction of any building should not only be long-lasting but should be cost-effective and flexible as well. Using algae as a construction material is a solution to the energy challenges facing our planet and though there are certain challenges that still remain, this natural resource holds immense potential for our future. Living systems can be used to build the new world of nanotechnology.